The Pedala Zezinho project repaired 150 bicycles in São Paulo, Brazil during September. Photo by Bruno Soares dos Santos. The Rajkot Municipal Corporation (RMC) announced plans to procure 12 buses for the city’s forthcoming bus rapid transit system (BRT). The number of countries hosting high speed rail systems is expected to double by 2014, according to research from the Worldwatch Institute. The Chicago Transit Board (CTB) passed two ordinances, expanding the city’s future BRT system to include two additional corridors. City council members in Cincinnati, Ohio defeated proposed legislation that would have effectively terminated the city’s ongoing streetcar project. New York City Transportation Commissioner Janette Sadik-Khan announced that New York City will launch a smart parking system, much like that of San Francisco, in 2012. The Pedala Zezinho project inspected 210 bicycles and repaired 150 in São Paulo, Brazil during the month of September. India’s Union Minister of State for Urban Development, Saugata Roy, declared that the Indian government’s current policy focus is on the development of pubic transport systems across the country, including metro railways. Australia’s parliament passed landmark carbon tax legislation. The country accounts for only 1.5 percent of global emissions, but is ranked as the highest per capita emitter in the world. Toyota announced it will release a for-purchase hydrogen fuel-cell vehicle in 2015. The anticipated retail price is 100,000 euros ($US 138,000). Amyris, a U.S.-based renewable energy and chemicals company, received final approval for $12.5 million in funding from the Brazilian Development Bank for a production facility in São Paulo. Alcoa reveled an all-aluminum bus design and frame for BYD that reduces total weight for the BYD Electric Bus by 40 percent—one ton. Volvo Cars China began an electric vehicle (EV) demonstration program in Shanghai to better understand customers’ EV-related behavior. U.S. national surveys indicate that seasonal time changes, such as that experienced in the U.S. last Sunday, disrupt drivers’ bodily clocks to the extent of creating dangerously fatigued drivers. Current studies suggest a link between vehicle fume exposure experienced during traffic congestion to lifelong cognitive deficiencies. Recent calculations indicate that as compared to last year, New York City area passenger attacks on bus drivers and subway workers are up 20 percent and 16 percent, respectively. 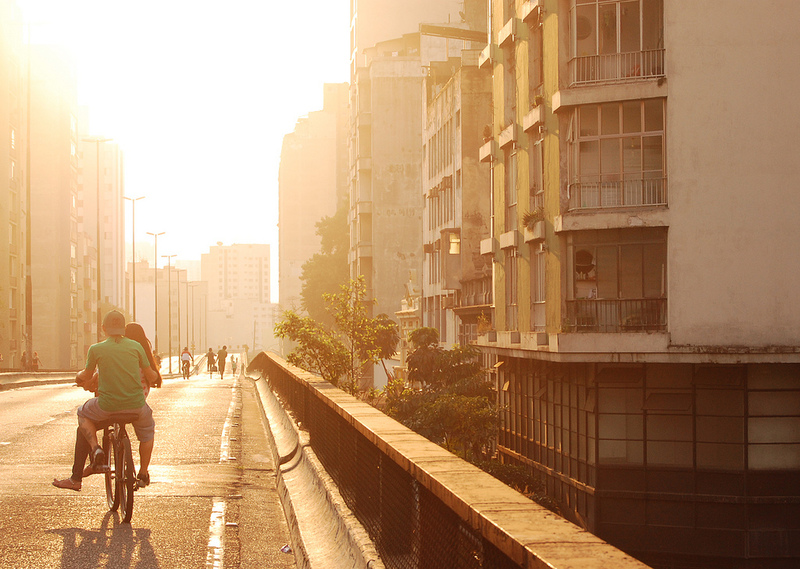 TheCityFix Brasil, produced by EMBARQ Brasil, is among the top 30 finalists in the sustainability category of Brazil’s Top Blog Award, one of the most prestigious blog competitions in the country. The Americas Ciclovias Network (CRA) held its sixth meeting in Medellin, Colombia to strengthen the international Ciclovias pro-bicycling movement. “Design with the Other 90%: CITIES,” an exhibit focusing on urban design solutions that support the 90 percent of the world’s population not traditionally serviced by the urban design community, is underway at the United Nations’ New York City headquarters.